The boys are back for a party at the House of Yes this Saturday. 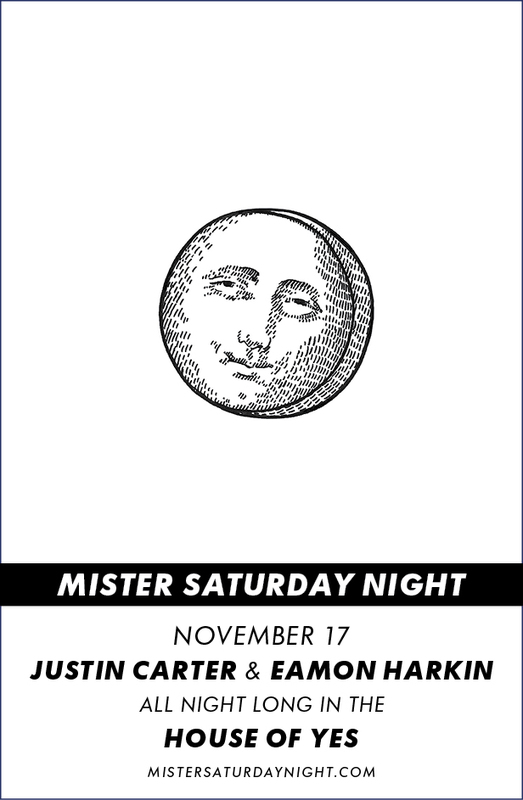 RSVP to mister@mistersaturdaynight.com for reduced entry before midnight; otherwise it’s fifteen bones. You can also buy advance tickets if that’s how you like to roll. We’re glad to be back and looking forward to seeing you Saturday. Hey! I’ve been in the Mr. Sunday parties in Brooklyn but I live in London. I saw you’ll have a party here but can’t find the info… when and where is it?